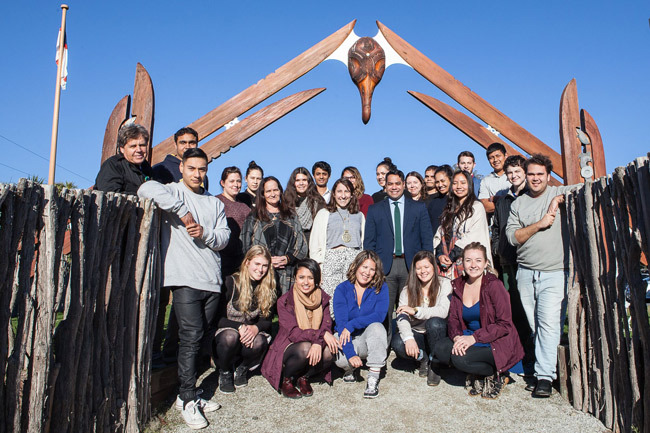 Otago has been hosting the inaugural Matariki Indigenous Student Mobility Programme, bringing together students from around the globe to foster cultural exchanges and the understanding of issues affecting indigenous communities. Office of Māori Development Kaiwhakahaere Tuari Potiki says that the students learned about issues of significance to their local hosts, Ngai Tahu, as well as broader Māori issues. The students were also encouraged to think critically about what being Indigenous means, and about how to address issues in their own communities. At Otago, the programme — which started on 27 June and finished on Thursday — combined intensive academic study in the mornings with community engagement in the afternoons. The syllabus — developed in consultation with local Indigenous experts and scholars — included examining how geography, economics and politics influenced the development of Māori socially, culturally and economically. The programme also included visits to marae, museums, a wetland, the Hocken Library and Te Kura Kaupapa Māori o Otepoti. Otago offered to host the first programme, which attracted 17 international students, four Otago students, and five staff from overseas universities. The international students were from Queen’s University in Canada, Dartmouth in the United States, Durham in the United Kingdom, and the University of Western Australia. They are all members of the Matariki Network of Universities, an international group that aims to build on their collective strengths to develop international excellence in research and education, and to promote social responsibility, both locally and globally. For the Indigenous Student Mobility Programme, Otago collaborated with the partner institutions to offer the programme to students across the Matariki Network. Many of the partner institutions have experience in Indigenous issues, have Indigenous students, and can offer immersion experiences through their links with local Indigenous communities. Next year, the two-week programme will be hosted by the University of Western Australia, and the subsequent year by Dartmouth. All participating universities want to foster scholarship on Indigenous issues and deepen the understanding of indigenous issues.